I have been a member of the Mono Lake Committee for many years - perhaps even from 1978, the year it was founded. 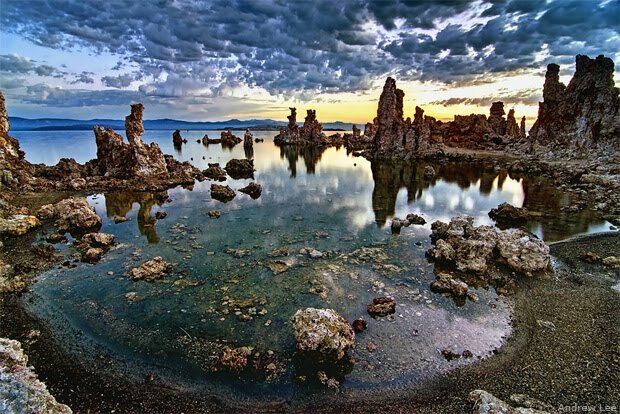 That is Mono Lake that is pictured above, in a "Photo of the Day" from the National Wildlife Federation blog. After 17 years as Eastern Sierra Policy Director, Lisa Cutting is moving into a part-time role as Associate Policy Director. Lisa started with the Committee as an intern in 1999 and quickly developed a deep commitment to the protection of Mono Lake and restoration of the tributary streams. She then served as Environmental Resource Coordinator for two years before becoming Eastern Sierra Policy Director in 2002. Lisa has seen many policy issues during her tenure — from shaping Caltrans projects to incorporate Mono Basin- specific revegetation techniques, to keeping the Mono Lake Tufa State Natural Reserve open, working with state and federal agencies to achieve goals in an era of diminishing resources, and accomplishing the daily work of implementing State Water Board-ordered mandates for Mono Lake and its tributary streams. But her passion has always been stream restoration—specifically bridging the gaps between restoration science, land management, and rules and regulations to achieve the most successful on-the-ground ecological health possible. Lisa’s calm and deft approach to complex water issues combined with her ability to bring often-polarized parties together to garner positive results for Mono Lake has set the bar for navigating future balanced solutions. She is excitedto have more personal time for fishing, backpacking, and exploration, but fortunately for the Committee Lisa will also continue to put her skills to work on focused projects with the policy team. Lisa Cutting is employed by the Committee, which is a non-profit corporation. 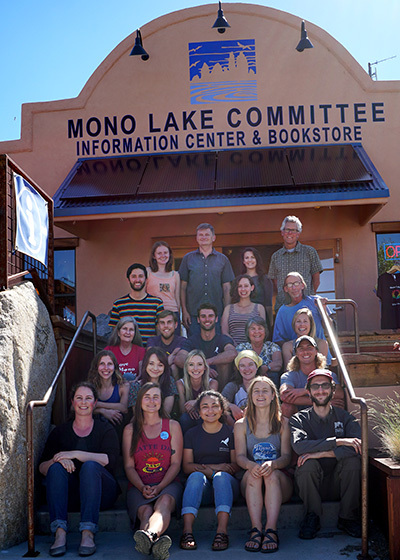 The Commiteee, and Lisa, and other staff persons and many volunteers, have taken responsibility for the "neighborhood" in which Mono Lake is located. There are physical, social, economic, and governmental challenges that require attention, and the Committee, and its dedicated staff and volunteers, have taken responsibility for meeting those challenges, and for "maintaining, protecting, and improving the neighborhood." Mono Lake, of course, is a rather remote, East of the Sierras environmental and wildlife wonderland. It is quite different from the neighborhoods that most of us inhabit, mostly located in cities or in unincorporated urban areas, but what this "Staff migrations" column got me to think about is the whole idea of "neighborhood government." Almost every neighborhood is beloved by those who live there and know it best. Almost every one of our neighborhoods has some unique and wonderful feature that residents treasure. 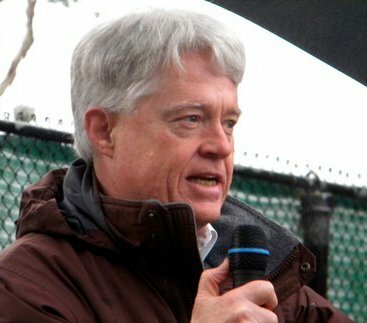 In the heyday of community-based politics in Santa Cruz, California, which is where I am from, neighborhood associations preserved and protected all that was best in the neighborhood, and the community-based involvement stemming from the neighborhoods is what sustained one of the healthiest and most vital examples of democratic self-government I have ever heard about. That was also, of course, a time in which I was privileged to be personally involved in that effort at self-government. I think the description of what Lisa Cutting has been doing for her neighborhood made such an impression on me because I was a kind of "Lisa Cutting" figure, for Santa Cruz County, from 1975 to 1995. If government in the United States of America is in trouble (and it is), I think we should start looking for solutions by developing ways to stimulate, fund, and sustain neighborhood-level community involvement. That could be done! No fooling!